I love life. I'm a student of life. I am grateful for my life!!! 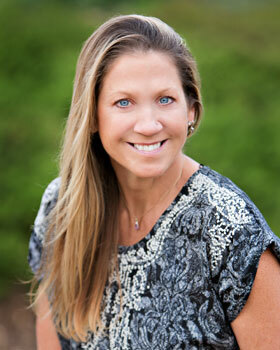 Michelle has been stand-up paddling, surfing and practicing yoga & Pilates for many years. After getting Pilate’s certified with PSC in California (PMA 550 Certified), she decided to advance her practice by getting yoga certified with Yoga Mittra School in Manhattan Beach, California (RYT 300). Michelle decided to also advance her skills with a certification in SUP Yoga training with H2YO in Orlando, Florida. Michelle’s love of the ocean and of yoga combined brought her to start teaching SUP yoga in the Southern California back in 2010 but has been Stand UP Paddling since 2008. SUP yoga changed everything and brought her practice back to ground zero. Michelle soon realized the benefits of “FLO YO” (floating yoga on and off the water) and wants to share this love with as many people as possible. Michelle and longtime partner, Jeremy had a goal of bringing a higher level of awareness to the importance of preserving and saving our oceans on a local level when they founded www.beyondtheshore.org. Beyond the Shore is a non-profit dedicated to ocean conservation, education and awareness in our local communities and our world. Beyond The Shore’s goal is to reach out to the local community by hosting it’s Annual Beyond The Shore Paddlefest, see video attached. The BTS Paddlefest hosts the “Worlds Largest Stand UP Paddle Board Yoga Class”. Michelle taught to more than 160 people doing yoga together on paddle board last October 13, 2014. Adding to the adventure, Michelle has been teaching her love of “Floating Yoga” all over the globe for the last few years, from the waters off Costa Rica to the waters in Bonaire, LaPaz and even to the far reaches of England & Spain. Her love for sharing these adventures had led her to host yoga and sup yoga retreats & teacher training with The Travel Yogi & Wanderlust. Michelle’s love of the ocean, yoga and working with people shines through in everything she sets her mind to. Michelle considers “Life” an adventure every day. © 2018 The Liquid Yogi.